In remote villages of Laos, a rustic kitchen like this is not uncommon. Bamboo's wide availability and versatility is exemplified here. 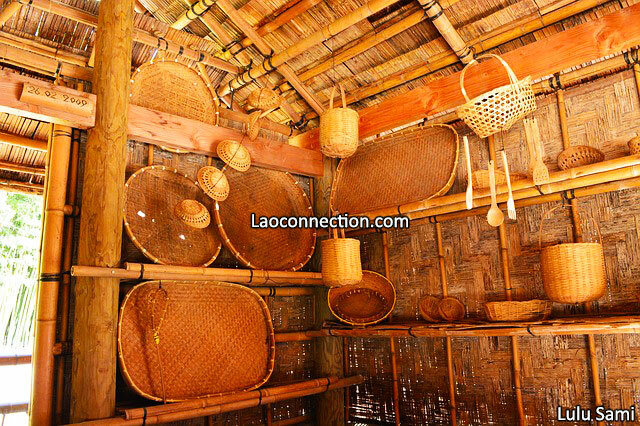 You can see it being used as building frame, weaved walls, cooking utensils, baskets, platters and bowls.